“Then stop,” came a very unhelpful reply from across the room. My cries of anguish had awakened the sleeping Hogarth. My gorilla contemplated me sitting in the solitary glow of my computer monitor. “Oh, yeah, easy for you to say. How many emails do you get a day, you’re a gorilla.” Two hours of trying to dig myself out of an email hole had not left me feeling like pleasant conversation. I blinked and tried to convince myself I was just dreaming. Until I realized that even in my worst nightmares I would never imagine this much email.Two days in a training class and my inbox looked like an LA rush hour on the Friday on a three-day weekend. How was I going to get through this backlog and on to my current emails? My gorilla gave a nod. “You’re of course familiar with Newton’s Third Law of Motion?” Hogarth asked. Parkinson’s Law is the concept that how ever much time you have to complete a task, you will fill that time. So what is the reverse of Parkinson’s Law? Tomorrow you go on vacation. You absolutely have to get this report done, or you can’t go. Normally the report takes two days to compile. You dig in and manage to get it done by the end of the day. You really wanted to go on vacation. If you’ve experienced something like this, then you’ve discovered the Horstman Corollary to Parkinson’s Law. 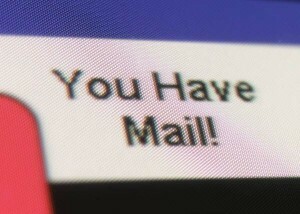 If you spend all day in your email, then you’ll spend all day in your email. Parkinson has won. Email is dominating your life because you let it dominate your life. So don’t spend all day, just spend 30 minutes, three times a day. I’ve heard of the Mailbox Zero concept many times over the years. I’ve have even managed to get to there a couple of times, just never for very long. I just never saw how it could be possible. Like so many I believed it was some Sisyphean myth dangled by management consultants to make themselves more money. For the last several years I was usually happy if I could get under 50 emails and to do even that was a struggle. My email was still killing me. It would backlog with tons of unread messages it felt like I was spending all day in my mailbox, constantly responding to the latest fires. That’s not to say my email habits in the last several years have not improved significantly. I learned a lot of great ideas from the Manager Tools 2005 podcast, Got Email?. Ideas like auto filing distribution list emails into folders, flagging emails I’m only CC’d on so I know they are lower importance or scheduling my follow up as tasks or appointments. This all had helped, it just wasn’t enough. Since late March, 2013, I’ve left work with an empty mailbox more than 90% of the time. Not just empty at the end of the day, empty in the morning, and empty after lunch. Following the advice from Manager Tools “Email Three Times a Day podcast” (Email Three Times A Day – Part 1, Email Three Times A Day – Part 2), I stopped letting Parkinson rule my life. I schedule time to read my email, even going so far as to setting a countdown timer. Thirty Minutes in the Morning, 30 minutes in the middle of the day and 15-30 at the end of the day. It wasn’t easy to start. With focus and perseverance though I was able to power through. And all the demons I was worried about never materialized. Here are some additional tricks I’ve been using. Ones I adjusted from Manager Tools or came up with to meet the my usage of email as a program manager. Gone in 30 Seconds : The cardinal rule of Mailbox zero is “If it takes more than 30 seconds to process, then schedule it.” I use Trello for my task lists. If an email will take more than 30 seconds to resolve, I drop a task in Trello, file the email and move on. Emergency Skim: There are still people who live and die by email, not wanting to use any other medium to communicate and who expect quick responses. Some of these folks are above me in the management food chain, so I can’t change them (You don’t manage your boss, ever). Because of these people, I check my mailbox a couple of times between my main processing windows. However the rule here is you only process any urgent emails from those key critical people. You don’t read or process any other emails, even ones from those critical people. This requires good subject lines and some common sense. It does prevent you from living in your mailbox, without becoming completely out of touch. Using your smart phone to do this “Emergency Skim” is a great way to keep from getting in to deep. “To Follow Up” is where I put an email that requires a response and it will take more than a few seconds to type the response. I still add a task to my task list. The email goes here so I can later come back and hit reply. “Waiting” is where I put any email when I need more information to be able to act. This was one of the killers for me in the past. I’d keep emails in my mailbox because I was waiting for more instructions or input. Now I file them in “Waiting” and a couple of times a week I scroll through the folder. Most of the time I have already gotten the response I was waiting for and have acted already. These emails then just get filed or deleted. If I’m still waiting for information, then it goes in one of two buckets. If it is a task I need, I ping them again. If it was something the other party asked me to do, I leave it and wait for them to follow up. Anything older than a few weeks gets filed into a normal file. What about a massive email backlog? I just got back from vacation and I’ve got a thousand emails! I can’t get through that in 30 minutes. Nope, you can’t. So don’t. Here are some things you can do. As soon as you get back to work, move all the email backlog into a temporary folder. Only look at email that has come in from Midnight to now. You can then process the vacation backlog without it being in your main mailbox. Hold the backlog for a month. After you’ve skimmed it for those critical nuggets and asked for a synopsis on that 100 responses thread, then just leave the backlog. After a month, if no one has followed up with you, then it probably wasn’t important. Rename the folder Vacation_Mo_YR and archive it (or just delete it). Email is a tool, we don’t let the hammer decide how we’ll build a house. Don’t let email decide how you will do your job.